In December I posted a comment and link to a series of reports conducted by King 5 Investigators. 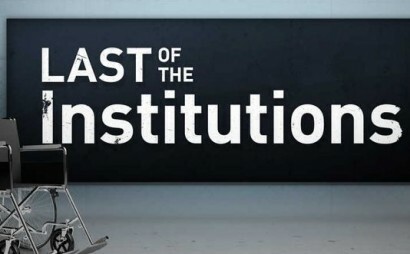 The series entitled “Last of the Institutions”, is a multi-part in depth series examining the many facets of Washington States institutions for individuals with developmental disabilities. Susannah Frame who produced and narrates the series explores the social, political, and emotional issues from various views of individuals who formally lived in the institution, to supports of keeping the 4 facilities operating. Politicians, professionals and family members all have their point of view on this issue. She is a skilled investigative reporter asking the critical questions surrounding this controversial issue. The last couple of episodes reveal how people with significant disabilities thrive in the community refuting claims that institutions are safe and good places for people to live. If you haven’t seen these I encourage you to view them on the link below. It seems King 5 Investigators keeps reporting on this issue. I hope that people of influence take heed to King 5’s excellent job of reporting. As I mentioned in December I of course have my own bias that I have reported in this blog series strongly supporting community services for individuals with intellectual/developmental disabilities. My hope is that in my lifetime I can see the institutions close and those individuals who currently residing there can one day be free. I have witnessed the powerful effect freedom has on people who have left the institution. I strongly encourage you to view this very important series. Here is the link to the series.